Very Good. The Devil Colony: A SIGMA Force Novel by Rollins, James. Mass market (rack) paperback. Glued binding. 672 p. Sigma Force, 7. Good. 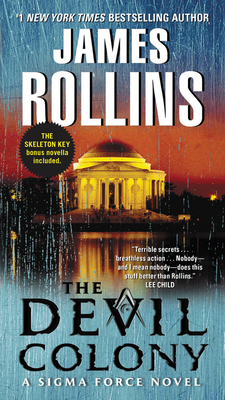 The Devil Colony: A SIGMA Force Novel by Rollins, James. Mass market (rack) paperback. Glued binding. 672 p. Sigma Force, 7.